Please also include the number of guests you will be bringing to the General Meeting. 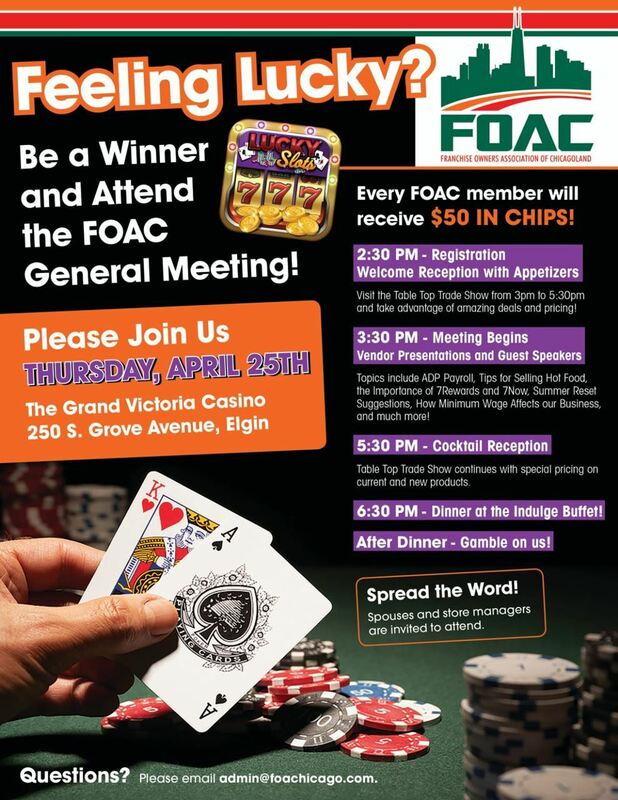 Every FOAC member franchisee will receive $50 in chips! After Dinner - Gamble on us! Spouses and store managers are invited to attend.